If you’re a student and interested in entrepreneurship, check out the annual BlueSky Festival from 17-18 July 2008 organised by the Action Community for Entrepreneurship (ACE). 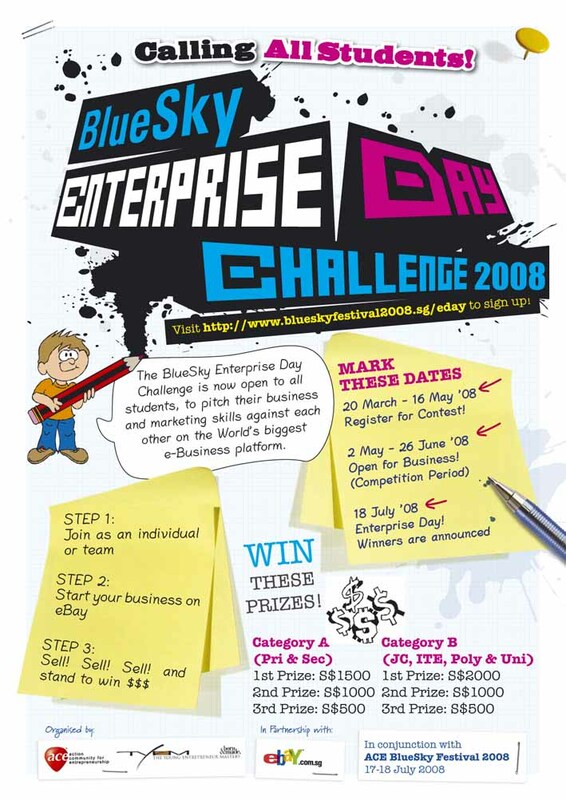 Check out The Enterprise Day Challenge 2008, which features an e-business competition for students in partnership with eBay. For those who’s always wanted some real-life hands-on experience in doing business, here’s your chance! Registration is now open and will close on 16 May 2008. See the eDM here, or visit the BlueSky Festival 2008 website.